6m Es - Is It Changing? With the summer Sporadic-E season now approaching its midpoint, it looks as though this year may be another poor one. Having been operating on 6m every summer since the early 70's, I'm beginning to believe that we may be seeing some changes in what was once the normal summer pattern. This summer, I can count on one hand, the number of good solid openings ... openings lasting for several hours. Over the past forty plus years, summers on 'six' for me, here in southwestern BC, were usually very predictable. The last week of May would usually see the start of regular band openings that would quickly escalate to almost daily openings through June and July. It was not uncommon to see the band open all day, into the very late hours and then still be open the next morning. Intense Es from California predominated the 70's and 80's ... much different than the past several summers here. The stronger openings now, when they occur, seem to be more to the southeast, favoring Colorado and other nearby central states. At times, this will turn into double-hop to the southeastern states, usually favoring the 'EM' grids. Really long-haul openings have also taken on a different flavor. For more than two decades, openings to Japan on Sporadic-E almost always occurred late at night, near midnight ... late afternoon for the JAs'. The openings rarely favored anything other than the west coast. Openings to Europe from the west coast were, for the most part unheard of, and any claims of summer-time EU contacts were often dismissed as 'wishful thinking' and not taken too seriously. A huge shift in long haul Es over the past decade has pretty much re-written the rules of what we have always taken to be 'normal'. Summertime openings to Europe, from the west coast, have now become a regular expectance and, although still rare and usually short-lived, somewhat dependable. Our midnight openings to Japan have largely disappeared ... replaced by hour-long, mid-afternoon or dinner-hour JA runs, and more often than not, right over our west coast heads to any U.S. call district fortunate enough to be in the propagation's hot-spot. All of this is so very different than the 70's and 80's! So why are things different now? Is it subtle influences from our ever-changing sun? 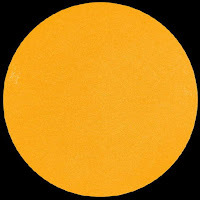 We are now heading into our sixth straight day of a spotless sun, but in reality, solar activity has been slowly winding down for the last several years. 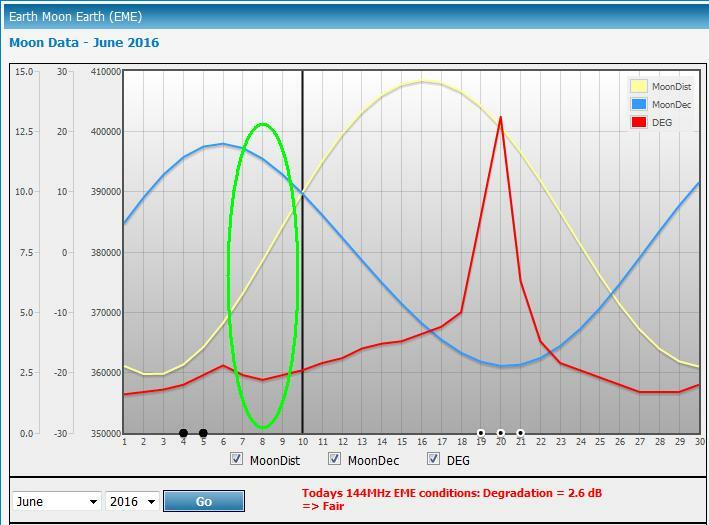 Long term studies tend to show that the solar cycle has little effect on summertime Es, but maybe not. Is it climatic change ... global-warming? 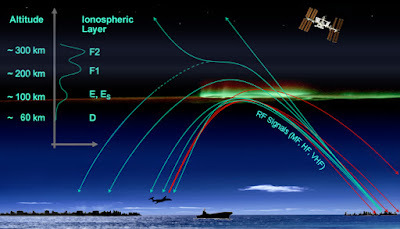 The e-layer is supposedly high above any weather influence yet there is evidence pointing to Es being associated with lightning storms and high altitude plasma-driven sprite activity. 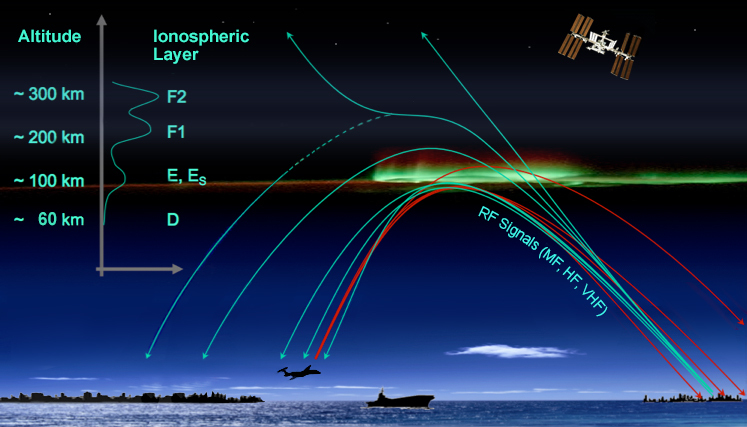 Maybe global-warming includes ionospheric changes as well and perhaps weather plays more of a role than previously thought. Is it changes in equipment, with an ever-increasing number of 6m stations sporting huge antenna systems and higher ERPs' than ever before? Maybe it's the influence of the Internet on operating practices? There is no doubt that having the ability to watch and follow realtime propagation paths, by the very minute, has made a huge difference in operating strategies ... along with big payoffs when it comes to catching those fleeting openings that would likely otherwise have gone unnoticed. On more than one occasion, I have worked Europeans on a seemingly 'dead band', with no propagation indicators at all ... just an announcement on the Internet that said station was calling 'CQ' at the time. 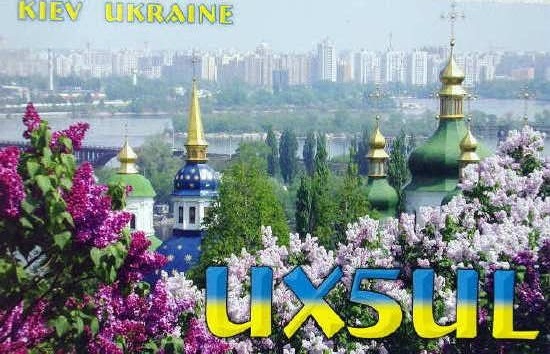 Perhaps nowadays, there are just more savvy operators with good stations and a much better understanding of the DX possibilities ... slowly wringing out the best of what 6m has to offer. Maybe it's a combination of several factors. Let me qualify my observations by saying that these have been my experiences and perhaps unique to the PNW and southwest VE7 only. Longtime Es data-collector, WA5IYX (Pat) in Texas, graphically shows the yearly Es variance in his region. The pattern appears somewhat sinusoidal in nature over the past few decades, but except for the occasional 'stinker', the variances from one summer to the next are not huge. Unlike my local area, the southern states near the Gulf of Mexico have always been an Es hotspot compared with the rest of North America, no doubt due to their closer proximity to the equatorial zone and its radio-magic. Are my observations similar to what you may have observed over the past many years? Are the changes real or only imagined? As with most global events being driven by mother nature and continually dynamic, I see no reason why 6m propagation should remain constant from decade to decade ... but I'd sure like to see a little more of it. Now, usually when I voice complaints about our bad 6m propagation, it seems that things often flip from terrible to amazing soon after. The best Es of the summer often peaks in or close to the first week of July, now fast approaching. Let's hope that this is one 'constant' that hasn't changed as well! Wouldn't you know it. I put above blog together on Tuesday evening, intending to publish it on Wednesday. 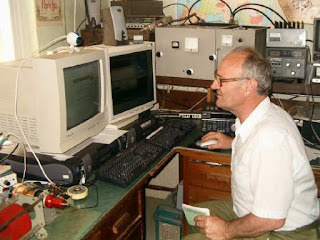 Early Wednesday morning, before 0900 local time, several Europeans were worked on CW ... perhaps the propagation gods were looking over my shoulder? As is so often the case with these relatively new types of openings between EU and the west coast, there were no particular propagation clues from this end, other than a brief reception of the KØGUV/b in Minnesota. 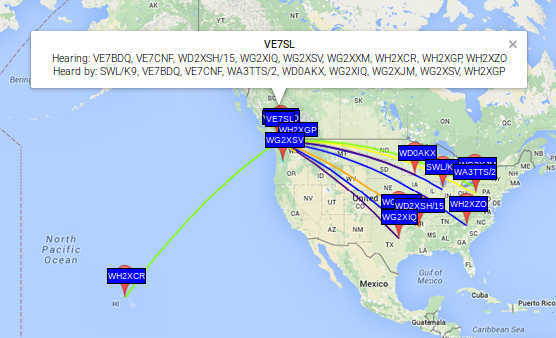 I was only alerted by the EU propagation reaching as far west as Colorado (KØGU) and a posting on the ON4KST 6m propagation logger that K7RWT in Oregon was hearing the VA5MG/b, sometimes a precursor to PNW propagation over the pole. The propagation map at the time shows no real indicators out this way ... once again, the value of realtime prop-watching via the Internet seems to have played a big role in finding these types of openings. 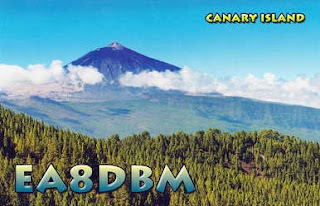 CW stations worked were F2DX, F6ECI, EA8DBM (Canary Islands) and EA6SX (Balearic Islands). All-in-all, a good early morning for a band that initially appeared pretty dead out west. Field Day - '29 Style! Although the first ARRL Field Day was in the summer of '33, Eric (NO3M) and some of his friends decided to set up and run a '29-style operation during last weekend's annual event. Thanks to Mike, WA3TTS for the camera work. I had a 1920/1930s style Field Day setup this weekend and a bunch of guys over. 80M doublet with homebrew open wire line (approx 550 ohm), the transmitter was a 27-24-24-865 job more or less straight out of July 1931 QST, but with a Hartley instead of crystal oscillator. 27 tuned to 80M, first 24 to 40M, second 24 also 40M, and the 865 on 40M. About 10W. Never did get a chance to try her out on 20M by using the second 24 as a doubler. I also built the complementary amplifier using a 203A from the August 1931 QST article. I had not even tested the amplifier, only having been finished at 1AM Saturday morning!! It is somewhat different in that the grid circuit is composed of the driving rig's antenna coupling coil/cap, re-wired to be in parallel, not series, of course. It was coined as being a good amp for any existing power oscillator or MOPA, We did a quick job of neutralizing while the gang was here and fired it up..... no modern measurement devices in sight, so we were only going on RF current. 0.9 amps into 50 ohm (pre-tuned the homebrew link coupled, balanced tuner with an analyzer beforehand)... so about 40 watts. I was hoping for 100W.... anyways, after most guys left, a couple of us starting messing around with it more, mainly tightening the output coupling of the MOPA and amp tanks. NICE! 1.45 amps, ie. 105W on 40M. Anyways, I'll have a full writeup and photos on my website in a few days. We used an HRO5 for a receiver; everyone commented on how good it sounded and well it handled. Of course, this is from a bunch of guys that grew up with this stuff and/or has owned one at one time or another. Everyone had a great time and lots of good discussion and visiting, including 153 QSOs with that pile of junk! Most will agree that Eric's station is far from a "pile of junk" as his superb homebrewing skills are clearly evident! Setting up this old style gear can be challenging at any time, but doing it for an outside weekend operation must have been a ton of work. Well done Eric - I'm sure the 'boys of '29' were smiling down on you! 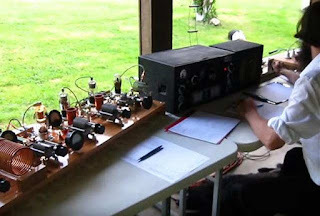 For more information about building and operating '29-style transmitters, see the links on my blog sidebar. Eric has just added a write-up of his FD activities and posted here. It seems that the FCC has suddenly become interested in the radio spectrum noise floor and have struck an inquiry ... now hold on to your hats, "... to determine if there is an increasing noise problem ...". They also seek input on "... the scope and quantitative evidence of such problem(s) ..." and if further "study" is necessary. Excuse me if I seem somewhat cynical, but where have they been for the past twenty years as RF pollution, of now unbelievable proportions, has become the norm for most amateurs living in populated regions? In view of the present ubiquitous level of noise pollution, asking this question now is really akin to closing the barn door long after the horses have escaped ... and sadly, they are going to be very difficult, if not impossible, to round-up. 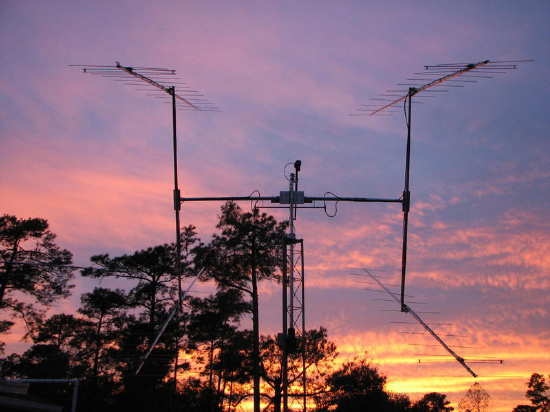 As radio amateurs, we are probably high on the list of those most negatively impacted by unwanted RF crud and were probably the first to bring this issue to the forefront. Many amateurs have watched, and continue to watch helplessly, as their noise floors climb higher and higher. For some, it happened overnight. In major cities and suburbs, it has become increasingly difficult to listen to normal AM radio because of RF noise pollution, so it's not just hams who are affected. In many cases, the noise is powerline related and although this is part of the inquiry, in most cases this is probably not the main problem. Powerline noise is well acknowledged and here in Canada, RF pollution stemming from powerline radiation is illegal. Hydro authorities are required to clean-up noisy lines by government mandate (Industry Canada) and seem to react positively to complaints by amateurs. I believe a similar mandate is in play south of the border but because of the vast numbers of hydro operators operating in so many jurisdictions, getting action often seems fraught with difficulty. The inquiry seems focused on the more nefarious types of radiation sources ... those that are not powerline-related, such as RFI caused by switching power supplies, light dimmers, electric motors, high efficiency lighting, computers, portable electronic devices, wireless routers ... generally any type of device radiating unwanted RF emissions. Presently, complaints about this type of RF noise to governing bodies or to national associations, mostly seem to go without effective response ... solutions to the problem seem to be left to the amateur to "fix" the offending device or to just "accept it", rather than to put responsibilities on the manufacturers creating the problems. I know personally of amateurs who have just given up the hobby or have moved to the countryside because of impossibly-high illegal noise levels. It seemed as if calls for tighter government controls on electronic device emission-levels, especially on inexpensive and poorly-designed imports, largely from the far east, fell upon deaf ears. Some European jurisdictions found a ridiculous solution to the growing complaints by slackening even further, the allowable 'accepted' levels of spurious emissions. Previously illegal noise-making devices became legal overnight! In the meantime, noisy electronic devices continue to flood the market at exponential levels ... only now, does the FCC pose this mind-boggling question! Equally stunning is their assertion that "... in search for concrete evidence of increased noise floors, we have found limited quantitative data to support this presumption." Perhaps if they had been maintaining vigilance instead of ignoring complaints when the problems were first reported, they would already have a huge body of the 'quantitative data' they are now seeking. The Technical Advisory Council Noise Floor Inquiry (ET Docket No. 16-191) is well worth reading for any radio amateurs interested in finding solutions to growing noise problems. The three-page document includes a short list of questions to which responses are sought ... your input is vital, especially if hard data can accompany your comments. Is it too late to turn the tide? There is no doubt that at this late date, it will be a huge uphill climb. The public notification document can be found here and the deadline for submissions, which can be made here, is August 11, 2016. For the past few weeks I've been able to transmit in the WSPR mode on 630m for the first time. For a long while I've tried to avoid it since the mode does not allow for two-way QSO's to be made. For that, excluding CW, one of the other weak-signal digital-modes such as JT-9 would need to be used. I've been using a new transverter sent to me for Beta testing ... hopefully I'll be able to report more if the unit receives final approval for production. 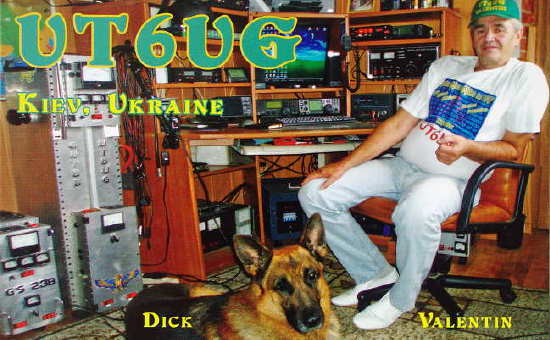 I was also able to have my first JT-9 mode QSO this week, with Toby, VE7CNF. This mode is the weak-signal WSPR QSO mode, tailored for LF/MF work and allows for calls, signal reports and confirmations (R's) to be exchanged ... the minimum requirements needed to claim a contact. Although additional information can be exchanged, its 13-letter message buffer does not exactly promote ragchew style conversations and some creativity is required to exchange more than the basics. With many of our newer 'digital-savy' amateurs not necessarily being proficient in CW, I suspect that JT-9 may well evolve to become the go-to weak signal communication mode on 630m, much as it has in Europe. In fact, popularity of this mode in Europe has already spawned a few JT-9 contest weekends on 630m, with high activity levels being reported. I'm really looking forward to a 630m JT-9 QSO party in North America, once the band becomes a reality in the U.S.A.
JT-9 is capable of decoding signals reliably down to -24db SNR and boasts a 50% reliability of decoding at -26db SNR. Audible CW drops out at around -16 to -18db SNR, so communicating with JT-9 is the equivalent of going from 100 watts to around 800 watts ... a significant improvement and very helpful on 630m! Like WSPR, JT-9 will work with non-linear transverters and amplifiers such as the commonly-used and simple to build switching MOSFET Class D/E styles. 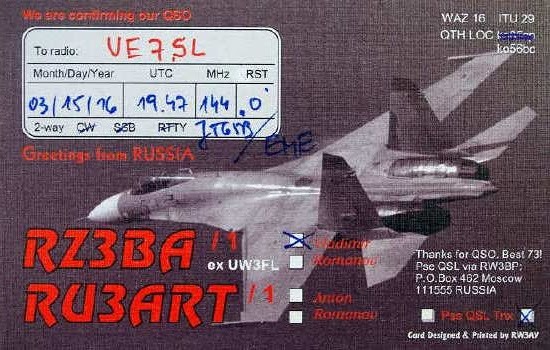 There also appears to be a fast-growing use of JT-65A on the 6m band this summer, with numerous 'CW forever' operators finding the mode's ability to dig up to 10db deeper into the noise paying off with surprising results. 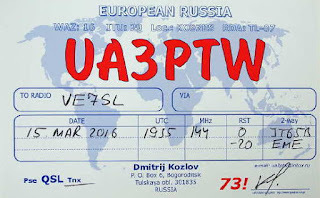 Some western North American operators have noticed that European JT-65A signal levels indicate that they should be in the CW-copiable range yet no CW activity is heard, for which there seems to be no ready explanation. Perhaps more will be learned this summer as the use of this mode continues to expand. As one of the 'CW forever' proponents willing to try something different, I also have been listening for and working stations on 6m over the past few days on JT-65A. With the IC-756ProIII throttled back to 25 watts, I've found it fairly easy to make contacts when the band is open but have yet to hear or work anything unusual. 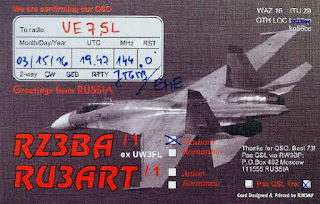 I'd love to hear your own comments on the use of JT-9 or JT-65A, particularly on 630m or on 6m ... maybe you can pass along some tips for those of us that are new to the mode on this band. I may have to reconsider this 'CW forever' thing! Well Friday morning's planned 2m EME window got pushed to the side when 6m started to show some interesting propagation possibilities. Several Europeans had been working slowly westward, past their usual east coast stopping point. When EA8DBM (Alex) in the Canary Islands reported via the ON4KST 6m chat page that he was hearing a station in Montana, my ears really perked up. At around 10:30 local time, KE7V (Johnny), about 40 miles due south of me in Washington state, was heard working Alex but I could hear nothing from him at all. 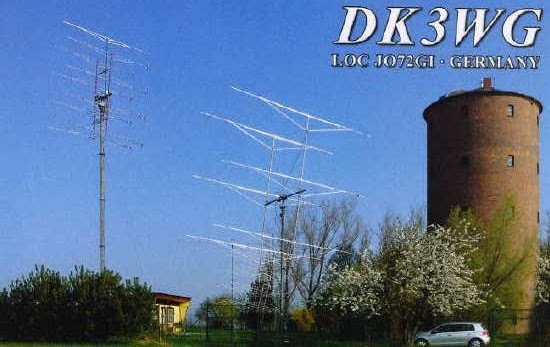 As is often the case between here and KE7V, signals from Europe often move quickly northward and sure enough, about two minutes later, EA8DBM's CW signal appeared at good strength, calling CQ. I quickly worked Alex, whose signal stayed around for almost an hour, and then began looking for any others that might be riding along on the same path. Sure enough, his neighbour, EA8TL was heard CQ'ing, but much weaker. After a few calls he came back with my report to which I responded several times, but it was evident that he was having difficulty as he kept repeating my report. Unfortunately, and unlike Alex, he soon faded away without me ever hearing the needed 'RR' for my signal report confirmation. About an hour later, a rapidly fading and quickly building signal was heard on CW calling CQ at about 25wpm ... it was CN8KD in Rabat, Morocco! It's times like this that 6m demonstrates why it's called the 'magic band', as exciting moments like this are so rare on the west coast ... the very thing that keeps us 6m nuts glued to the radio during the summer months. I called Mohamed several times as his signal built, but his rapid-fire CQ's continued much to my frustration. As his signal peaked to a solid 569, he sent a '?' and then replied with 'VE6? ', probably as shocked as I was. After repeating my call several times, he returned once again but this time with 'VE7NL?'. The next several transmissions from him were the same and as the delicate links between our two stations shifted once again, he was gone as quickly as he'd arrived ... close, but no cigar. This was the first 6m signal that I've ever heard from continental Africa since coming on the band in 1970. I wonder if I will ever hear him again. ... all-in-all, a pretty fun week on the VHF's! With the QSL's from spring's EME activity gradually showing up in the mail, June's EME moonrise action should keep the postman busy next month as well. I have about five days of favorable moonrises directly over the ocean in front of my antenna (9el m2 Yagi), and a couple of hours each day before the moon gets too high for my antenna as it lacks any elevation control. After five days the moonrises usually move too far to the south and I am pointing into too many RF-absorbing Douglas Firs on my neighbor's property. 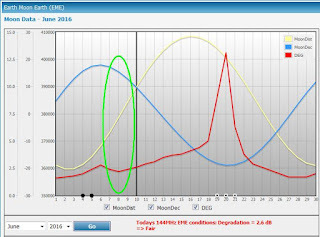 I started on Tuesday morning, which according the EME data graph shown below, should have been the best of the week since the moon was as close as it would get and the skynoise was low but unexpectedly, no signals at all were heard! On Wednesday, things should not have been as favorable since the moon was another 5000 miles further away, but the magic of radio did not disappoint ... my first CQ, with the moon barely 1 degree high, brought something that has never occurred here before ... three replies! 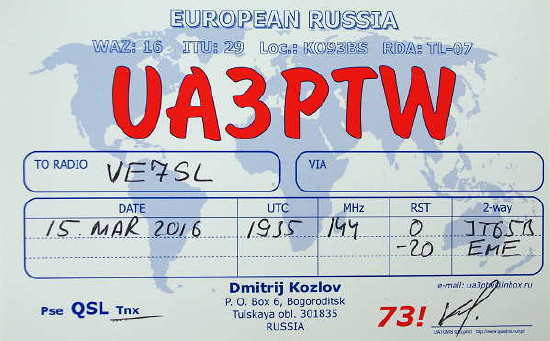 I soon completed three new initials with my QRP (140 watts) station ... RW1AY (# 76 ), DK3BU (#77 ) and DK5SO (#78 ). I have no idea why Tuesday was so poor or why Wednesday was so good, but I'll take it. Today's conditions were also good again, with my first CQ being answered by N2CV in Florida, for #79. About an hour later, the strong CQ of YU7AA was heard who responded to my first call. After that his signal faded for some time and eventually returned to speaker quality level and the contact was completed for #80 ... I keep wondering if or when I'll run out of stations large enough to work. Who knows what tomorrow will bring, but as the moon climbs further away and rises further to the south, working anyone will be a nice surprise. I've usually avoided summer EME work, as often the best moonrises are very close to the sunrise, making it difficult for bigger stations to hear me when pointing near the sun. After June's good luck, it seems that summers might require more attention ... the next few months might be more interesting than I had thought. 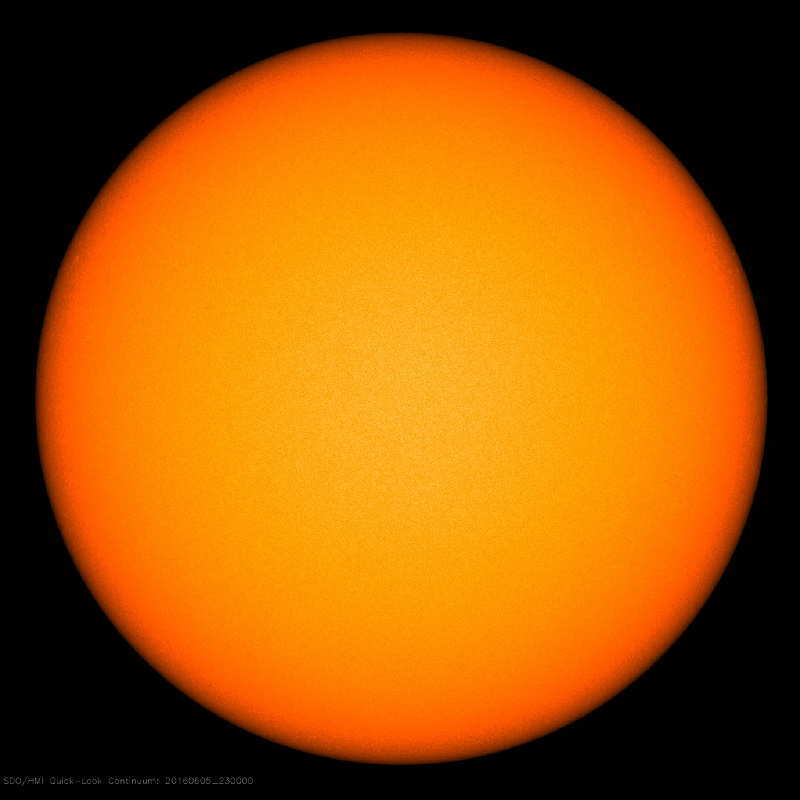 A quick glance at Sunday's sun reveals a spotless environment, something we will likely be seeing more often in the years to come as the Solar Minimum arrives around 2020. 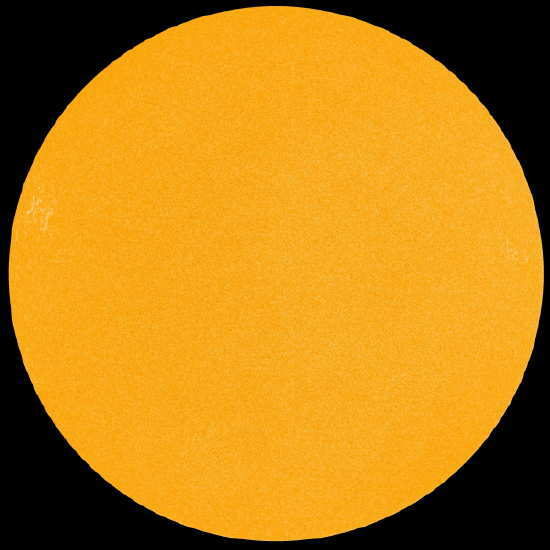 The last minimum in 2009 saw a total of 260 days of spotless suns and long periods of very little geomagnetic activity. Incredibly, during the minimum in the 28 year period between 1672 and 1699 there were 50 sunspots total. That's not a week or a month but two 11 year cycles worth. The normal expectation would be 40,000 - 50,000 spots within a 28-year period. 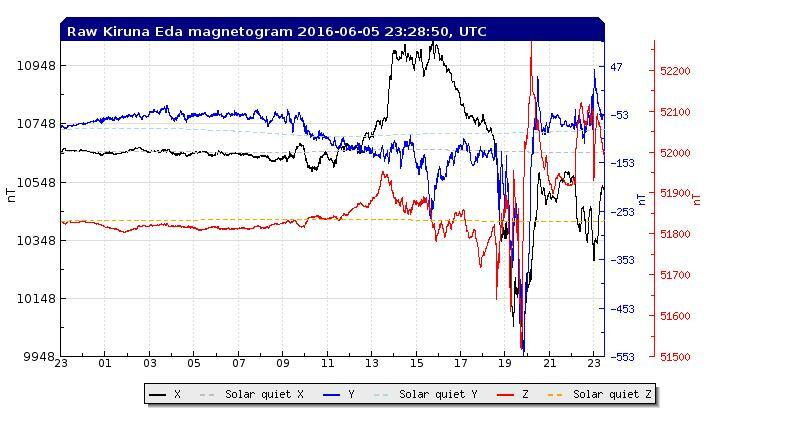 But the present, apparently quiet-looking sun, is not all as it appears as a look at today's satellite data and magnetometer readings indicate we are in the midst of a pretty good disturbance, driving the planetary K-index to level 5. 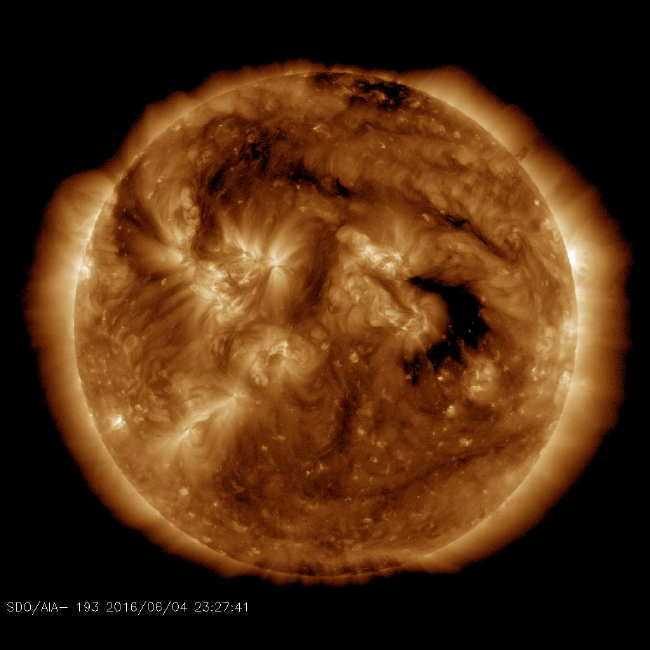 The source of the disturbance, as is often the case when the sun is not flaring, is a coronal hole stream ... CH738 to be precise, rotating into a geoeffective position once again after causing a similar disturbance to our geomagnetic field one month ago on its previous rotation. The large hole is the dark region approaching the right limb. Back in the early 30's when amateurs and professionals were starting to draw links between radio propagation and sunspot activity, there must have been a lot of head-scratching when propagation disturbances arose from apparently quiet-looking suns, similar to what is happening at present. 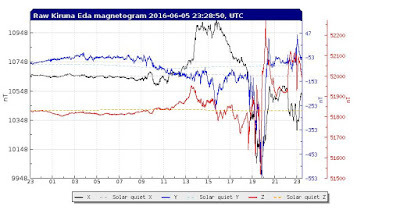 With the vast array of solar instrumentation available to us online, much of the mystery involving propagation has been removed, making the tracking and even the predicting of geomagnetic activity, very much easier nowadays. From my location on the west coast of North America, my main 6m interest over the past several summer seasons has been focused on the short-lived and exciting sporadic-e openings over the pole to Europe ... but today's sun is not helping. 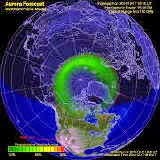 Most of these fleeting openings seem to require undisturbed fields in the polar regions ... geomagnetic quiet. Once CH738 rotates out of view, hopefully the polar activity will subside and maybe, just maybe, the magical 6m polar path to Europe will tease us once again. Late May and early June always sees 6m come to life ... sometimes slowly and sometimes with a 'bang'. Last year's good early start soon flickered-out into what was the poorest sporadic-e season that many could recall. This year's 'start' has almost been a no-show, with just a very few short openings to the south eastern states (Colorado, Utah) and one 'blink and you've missed it' opening to the Great Lakes. 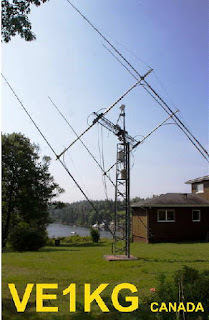 Hopefully the 6m propagation gods are just having some fun with us and things will really spring to life shortly. 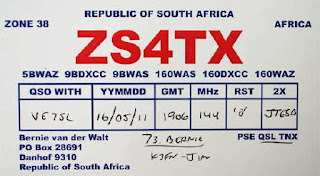 Once we do get into some periods of good propagation, there are always new arrivals to the band, as most transceivers these days include the 6m band. Every season I hear of newcomers getting their knuckles wrapped for, probably unknowingly and in all innocence, operating inside the 'DX Window'. Don't Be A 'DX-Window' Lid! One of the quickest ways to get the 6m community saying nasty things about you behind your back is to mess-up in the DX Window. The DX Window (50.100 - 50.125 kHz) has long been established for one type of contact only, that being a legitimate DX QSO. If you are in the U.S.A. or Canada, DO NOT WORK ANY OTHER U.S.A. or CANADIAN STATIONS INSIDE THE WINDOW. The window is NOT for North America - North America contacts. Do not answer the "CQ" of U.S.A. or VE stations if you are in North America. This creates unnecessary QRM and chances are, they will not respond to your answer anyway. Calling or answering other North Americans in the DX-Window only reinforces bad operating habits, encouraging newcomers to do the same. If you want to work U.S.A. or CANADA, do it outside the DX Window! Work or call only stations outside of North America inside the DX Window. The only legitimate exception to these rules, that will not get you in the naughty-corner, is working a KL7, VE8, XE or some other such fairly rare North Americans. I hate to say it, but some of the worst offenders to the successful function of the DX Window are my fellow VE's, many of whom don't know or don't understand the simple concept of how it works. Now that you know, pass it on! Now, you may or may not agree with the concept of a DX window, so please don't shoot the messenger. What I do know however, is that if everyone does their best to adhere to the window's concept, it works well. Problems arise when those that should know better, and probably do, decide that for some reason, the concept doesn't apply to them or that it won't hurt, 'just this once'. 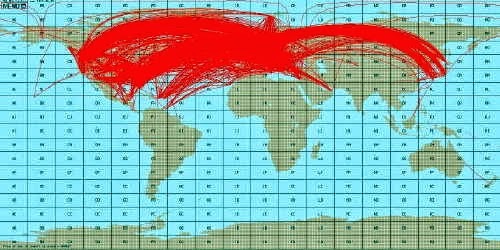 Others, particularly newcomers, see it and think it's all OK and soon the window is full of domestic QSO's, effectively killing its usefulness. As conditions slowly improve, hopefully we can work on six this summer. I usually hang out on CW, just below 50.100. As one long-time 6m diehard would often say to me, the newcomer over 40 years ago ... 'We'll see you, all of a sudden!"